… because of the global nature of the oil market, the security benefits of the pipeline are illusory … Could we expect Canadians to sell us their oil at a discount just because they are our neighbors? Hardly. 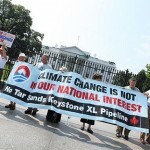 Would a pipeline from Canada stop higher oil prices from enriching unfriendly regimes? Not at all. At best, a pipeline from Canada might reduce the temporary logistical costs of a supply disruption, but we already have the national oil reserve to protect against those short-run effects. In the end, once Keystone XL’s impact on US oil markets (PDF) are factored in, the pipeline may actually destroy more jobs than it creates. 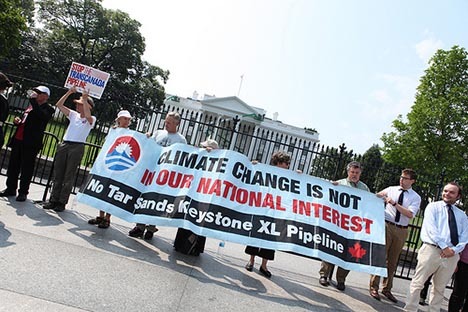 TransCanada itself has admitted that Keystone XL would increase the amount refiners in the United States pay for their crude by up to $4 billion a year. That’s $4 billion a year that is currently being used by U.S. industry and consumers to create economic growth. The Department of State is expected to announce its verdict by the end of the year. Ultimately, for a project that will neither create many sustainable (no pun intended) jobs nor be in the interest of national security, the administration will likely expend a fair amount of political capital if it does go ahead and approve it. This is a rare case in which Congressional approval is not needed, so a decision by the administration will carry both direct and symbolic weight.